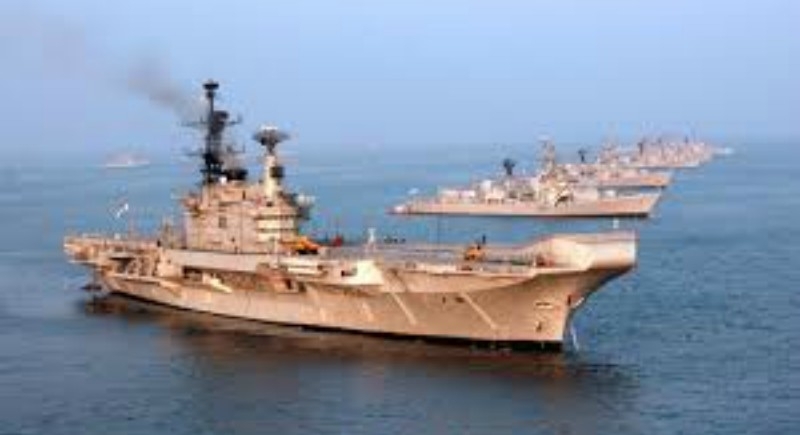 New Delhi, November 2: The decommissioned aircraft carrier, INS Viraat, will finally be converted into a majestic maritime museum, that will come up in Sindhudurg district in the coastal Konkan belt of Maharashtra. At the weekly Cabinet meeting on Thursday, the government cleared an estimate of Rs 852 crore for the ambitious project. The project would be located off the Nivati Rocks which is seven nautical miles away from the Sindhudurg seashore. The Defence Ministry has been intimated. This is Maharashtra Chief Minister Devendra Fadnavis’s gift to the people of the state as he completed four years in office heading the BJP-Shiv Sena saffron alliance government. The British-made INS Viraat is currently docked in the Mumbai harbour after it was decommissioned on March 6, 2017. It may be recalled that the Maharashtra government's plan to convert another aircraft carrier Vikrant into the museum had failed and the ship had to auctioned and scrapped. The Guinness record holder for being the longest-serving warship of the world, INS Viraat had served for 30 years in the Indian Navy and 27 years in the Royal Navy. Under the Indian Flag, the ship was instrumental during Operation Parakram between India and Pakistan; apart from Sri Lankan Peace Keeping operation. Its last operational deployment was for participation in International Fleet Review in February 2016. The majestic Viraat – is a gigantic airfield - displaced nearly 28,500 tonnes and is capable of operating Sea Harrier jump jets, a Short Takeoff and Vertical Landing (STOVL) fighter aircraft and virtually all types of naval helicopters. The 12- degree ramp on the bows is the most striking visual feature of the ship and it helps to improve the safety factor as well as the radius of operation/payload carrying capacity of Sea Harrier. The ship is equipped with Close in Weapon System for self-defence. The Computer Aided Action Information System (CAAIS) gives the command a complete picture of the tactical scenario based on information fed to the computer from all onboard sensors. This enables rapid decision making as reaction times, at sea, are minimal and makes possible the destruction of hostile platforms before they can threaten her.